Need a card to go with that gift? Need a card to go with that gift? This Just Wanted to Say card with a blank inside greeting is perfect. Beautiful floral art outside and blank on the inside for your own heartfelt words. Need a card to go with that gift? This Just Wanted to Say card with a blank inside greeting is perfect. 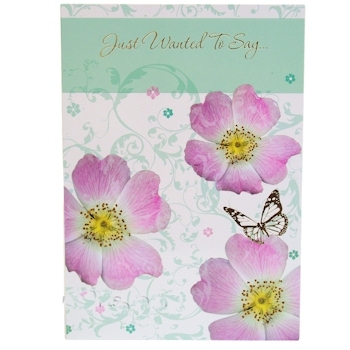 Beautiful floral art outside and blank on the inside for your own heartfelt words. Includes envelope.